Celebrate Black History Month in Gwinnett! In honor of Black History Month, Gwinnett Community Outreach is partnering with local organizations to host programs and events throughout the month of February. Please join us as we commemorate our history and celebrate the path forward. 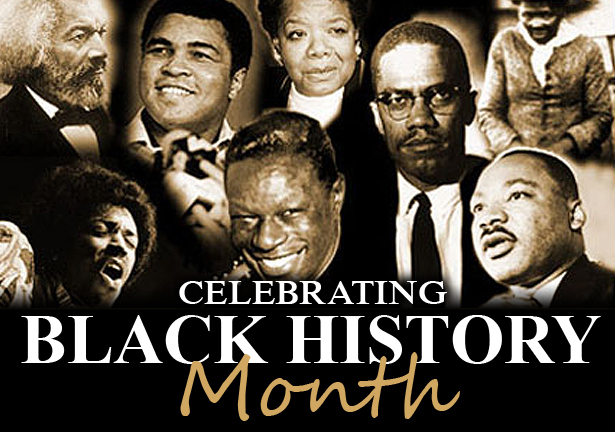 For a listing of Black History Month Events with Gwinnett County Public Schools, click here. 9:00am to 5:00pm (except February 20; the center is closed). Enjoy a self-guided exhibit. Evening and Saturday hours vary. 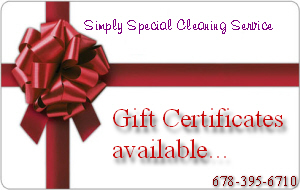 Call the community center at 770.985.4713 to confirm schedule and to inquire about special events. Centerville Community Center, 3025 Bethany Church Road in Snellville. 8:00am to 5:00pm (except February 20; GJAC is closed). Enjoy a self-guided exhibit featuring local artists, student drawings, and a monument of local heroes. Guided tours of the exhibit available on Thursday, February 16th at 3:00pm and on Tuesday, February 21st at 6:00pm. Gwinnett Justice and Administration Center, 75 Langley Drive in Lawrenceville. 10:00am to 5:00pm. The Southeastern Railway Museum, in partnership with the United Ebony Society will host an exhibit that highlights the achievements, contributions, and experience of African-Americans in railroad history. For hours and admission information, visit www.train-museum.org. 3595 Buford Highway, Duluth. 11:00am. Genealogy interest has exploded with the ease and availability of online research. Learn how to get started in this fun hobby and explore free genealogy databases, including the library edition of Ancestry.com and HeritageQuest. For more information, call 770.978.5154, text 770.450.5305, or visit www.gwinnettpl.org. Centerville Branch Public Library, 3025 Bethany Church Road in Snellville. 5:00pm. This reception and celebration will recap the month-long celebration featuring performances, speakers, and a special presentation. This event is free and open to the public. Refreshments will be served. Register for this event here. Gwinnett Justice and Administration Center, 75 Langley Drive in Lawrenceville. On Saturday, February 25, Gwinnett Medical Center’s Concussion Institute will host the third annual Concussion Baseline Testing Day at various locations across Gwinnett County. This year’s event, held from 9:00 a.m. to 4:00 p.m., will include testing opportunities for children, youth, and adults. Concussions can happen anytime, anywhere and to anyone. Having a baseline of how your brain functions on a normal day, helps doctors better diagnose and treat you if you are ever concussed. It’s a simple, computer-based test that only takes about 30 minutes to complete. Informational Q&A sessions will also be offered to help families learn more about concussion signs and symptoms and what to do when an injury occurs. Registration is required and space is limited. To register testers ages 12 and up, visit gwinnettmedicalcenter.org/baselineday. Call 678-312-7880 to register testers ages 5-11. Special thanks go out to our friends at Music on Main Street who will be providing the entertainment. This year the Sweetwater Masonic Lodge masons will be back with us, cooking up some delicious burgers, hotdogs and barbecue. You can be a part of this event! 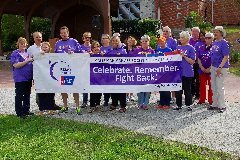 Go to www.relayforlife.org/ lilburnrelayrallyga. For more information: Contact Pat Swan at sbp6388@aol.com, Gail Zarnik at gailz18@aol.com , or Mandy McManus at mandymcmanus@hotmail.com. On Monday, Feb. 6, Mayor Crist held a Town Hall meeting on goals and initiatives for the coming year. What follows are some of the major topics he covered. Go to this LINK for the full text of the notes taken by Margot Ashley, President of SafetySmart Lilburn. From Margot Ashley,President, SafetySmart Lilburn, Inc a 501(c)(3) nonprofit "Building the Safest Community in Georgia"
Let’s Talk; Practice English Conversation Mondays, Feb. 20, 27 at 6:30p.m. Toddler Time: Tues. Feb. 21, 28, 2017 at 10:30 a.m.
Preschool Story Time Tues: Feb. 21, 28 2017 at 11:30a.m. Music and Movement ages 3 & up Monday Feb. 20 at 11:00a.m.-12:00p.m. Happy Birthday Author! Jane Yolen ages 4-10 Feb 20 at 3:30p.m. Agavero Mexican Restaurant will be closed for a kitchen remodel 9 pm on Monday, Feb. 20 until Thursday, Feb. 23 at 11 am. 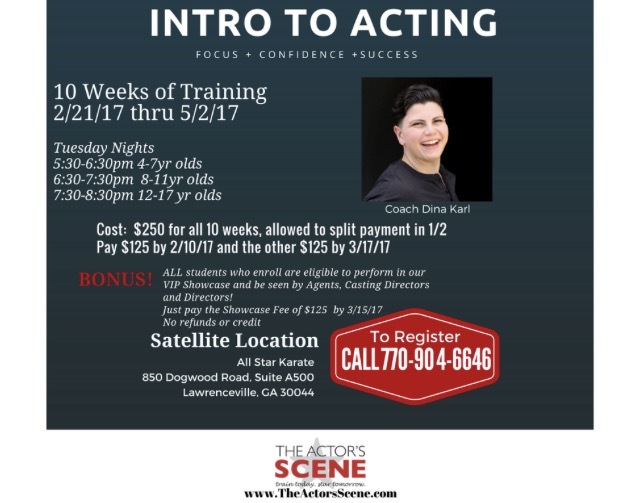 Actors Scene - The Actors' Scene acting school is opening a satellite location inside the All Star Karate studio at 850 Dogwood Road, Suite A500, Lawrenceville GA 30044. (Near Oak Rd. and Five Forks Trickum intersection) This well known school has its main campus in Buford and incorporates film and stage acting techniques in its classes. See MORE for information on an Intro Acting class that will be starting February 21. Check website www.the actorsscene.com or phone 770-904-6646 for more information. Lilburn Farmers Market - Lilburn Farmers Market is busy planning for its eighth season. Applications are now available for produce, food, and food related vendors, food trucks, and local not-for-profit organizations at www.lilburnfarmersmarket.org. The market would also like to showcase local musicians and chefs. 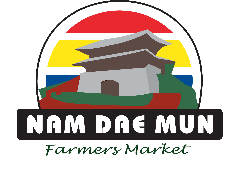 The market is located at Good Shepherd Presbyterian Church 1400 Killian Hill Road and operates every Friday in June, July and August from 4 pm to 8 pm. The City Council for the City of Lilburn meets every 2nd Monday of each month at 7:30 p.m. in the Council Chambers. Below are meeting highlights of the Feb. 13 meeting. The City of Lilburn received a request from Google Fiber to establish a franchise fee resolution, which would pave the way for Google Fiber to locate in the city limits. City Council approved a franchise fee agreement in the amount of 5 percent, which is standard for all cable providers. Google Fiber has not made a specific location request at this time. Vote: 4-0. The Branded Barrel package store under construction on Pleasant Hill Road will not be able to open within three months of receiving a city alcohol license, as is stipulated in the ordinance. The owners are in litigation that has prevented them from completing construction and opening for business. Council approved an extension through June. Vote: 4-0. Clarification was needed to amend the intergovernmental contract between the Lilburn Downtown Development Authority and the City of Lilburn. The city guarantees loans for the DDA, but the contract was not clear as to the responsibility for repayment of the loan. The amendment states that "the City of Lilburn does not make payments under the contract unless the DDA does not have sufficient funds to make timely payments." The DDA makes timely payments on its debt; the change was a housekeeping item requested by the city auditor. Council approved the amendment. Vote: 4-0. The fourth annual Taste of Lilburn will take place on Saturday, April 22 from 1 - 4 pm in the Nash Pavilion at Lilburn City Park. Restaurants are being solicited and tickets will go on sale soon. This has been a sellout event since 2014. The Deadline for restaurant applications is March 1. More info will be posted on www.lilburnevents.com. This is a fundraiser for the Wynne-Russell Historic Home. The committee meets the second Wednesday of the month at the Wynne-Russell House. The next meeting is March 8 at 5:00 pm. Visitors and new members are welcome. Auditions for "Act Like a Lady" Thur. Feb. 23, 6:30 - 9:30 pm; Sat. Feb. 25, 1:00-5:00 pm and call backs on Sun. Feb. 26, 1:00-5:00 pm. Lilburn Arts Alliance Portrait Workshop Sat. March 25, 9:00 am until noon. The Art Alliance invites area residents to join their organization. Meetings and most workshops are held at the Wynne Russell House (4684 Wynne Russell Drive, NW, Lilburn, GA 30047). Guests are always welcome. Saturday, Feb. 25: Field trip to Booth Western Art Museum. Please contact Peggy Sullens by Feb. 24th (call 770-921-9440 or email pjsullens@bellsouth.net) if you plan to attend. Wednesday, March 8, 7 pm. Meeting presenter is Gwinnett Public Schools Art Teacher, Shawn Mazzatta. Saturday, March 25, from 9 a.m. to 12noon, at the Wynne-Russell House, Jack Ricketson will guide us in a Portraits Workshop. Details are forthcoming, check our Facebook page. Sunday, March 26, from 1 p.m. to 5p.m. in the Event Hall of Paradise Restaurant (4805 L'ville Hwy.) Ann Anzini will lead a Pysanky Egg workshop. All supplies are included with your class fee (Including two empty eggs). Everyone gets to make two eggs during the four hour session. Students can work from set designs or from photos and books which the instructor will provide. 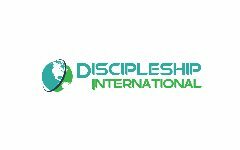 Business Builders Breakfast: Friday, March 3, 8:00 am - 9:00 am at IHOP, 4018 Lawrenceville Hwy, Lilburn, GA 30047.No extra charge for this meeting. You may order and pay IHOP for food. Preregister so we know you are coming. 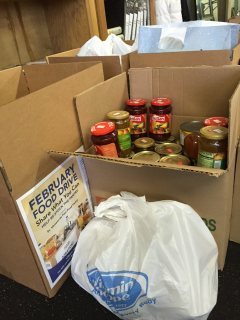 The Lilburn Lions are in the middle of their second annual February Food Drive. Needed items are: Canned Fruit and Vegetables, Dry Rice and Beans, Healthy Snacks, Granola Bars, Cooking Oil, Powdered Milk, Water and Toilet Paper. These items may be dropped off at House of Payne, Gwinnett College, and Mail and Package Center. Contact Rachel Payne, cell: 678.641.9188 or email axel.houseofpayne@gmail.com. The Lilburn Lions Club meets on the second Thursday of the month at noon at Taste of Paradise restaurant. The next meeting is March 9 and visitors are welcome. Contact President Derrick Weaver at 770-377-9523 or Danny Taylor at 770-925-0300 for contact information. The Lilburn community is invited to "Wine About The Issues" organized by the Lilburn Woman's Club and hosted by Senator PK Martin and State Representative Clay Cox. Please join your neighbors on Tuesday, February 21 at 7-9 pm at the 1910 Public House private event room located at 107 Main Street Lilburn Georgia. Enjoy a complimentary beverage and light hors d'oeuvres while listening to discussion about the current legislation in Georgia. Seating is first come, first served. 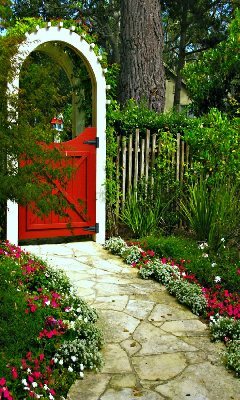 The Lilburn Woman's Club is pleased to announce the date of their 4th annual Behind the Garden Gate Garden Tour on Saturday, May 13, 2017, from 9 a.m. until 4 p.m. Tickets, which are $15 if purchased in advance, can be purchased online through Paypal by logging onto www.lilburnwomansclub.org and clicking on the "Behind the Garden Gate" window from the navigator bar. 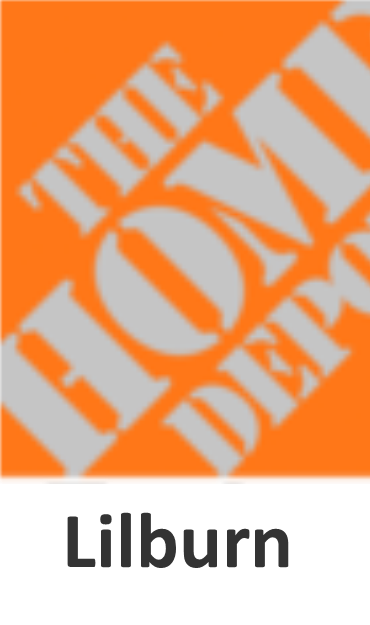 Follow the directions and bring your receipt to the Will Call desk the day of the tour at Garden #1 located at 818 Tom Smith Road, Lilburn, to pick up your ticket and tour map. Tickets may also be purchased the day of the event for $20 at the Will Call desk. We hope you will come and discover the beauty that surrounds us in Lilburn! Staged Right Theatre, Lilburn’s new community theatre, arrives at the midpoint of their debut season with “A Doll’s House,” the once highly controversial classic by Henrik Ibsen. Penned in 1879 and premiering that same year, A Doll’s House immediately became the subject of vehement debate. While some critics applauded the play’s “ethical gravity”, others groused that the ending was “revolting” and “crass”. In fact, Ibsen was forced to write an alternate ending for many theatres who refused to produce the play as written. Staged in the Historic Wynne-Russell House in Lilburn, also a 19th century classic, “A Doll’s House” will be a uniquely immersive experience. Set designer Spencer Estes places the audience right in the Torvald’s living room, and director Brian Jones weaves the action around and through the audience. County Offices Closed on Monday, Feb. 20. All Gwinnett County government offices, with the exception of those operations required for the comfort and safety of residents, will be closed Monday, February 20, for the Presidents Day holiday. County offices will resume normal business hours Tuesday, February 21. A Magistrate Court judge will be available at the Gwinnett County Detention Center during the holiday. Presidents Day is not a trash and recycling holiday for solid waste providers in unincorporated Gwinnett County. Avoid Falling for a Jerk/Jerkette - FREE! Wednesday, Feb. 22 from 6:30pm to 8:30pm. Develop a healthy relationship and learn five characteristics about a partner that accurately predicts what they will be like in a long-term relationship. Dinner will be provided. To register, please call 1.877.814.0535. Norcross Human Services Center, 5030 Georgia Belle Court in Norcross. 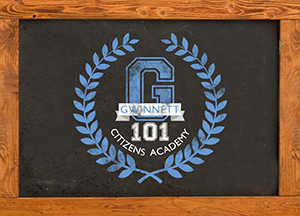 Gwinnett 101 is a free program that seeks to develop and nurture informed and engaged residents, students, and business owners in Gwinnett. Classes will be held on Thursday evenings from 6:00pm to 9:00pm beginning with an orientation on Tuesday, April 11 and ending with a graduation and recognition by the Gwin­nett County Board of Commissioners on Tuesday, June 27.Applications are available online and must be received by March 3, 2017. For more information about Gwinnett 101, visit www.gwinnett101.com. 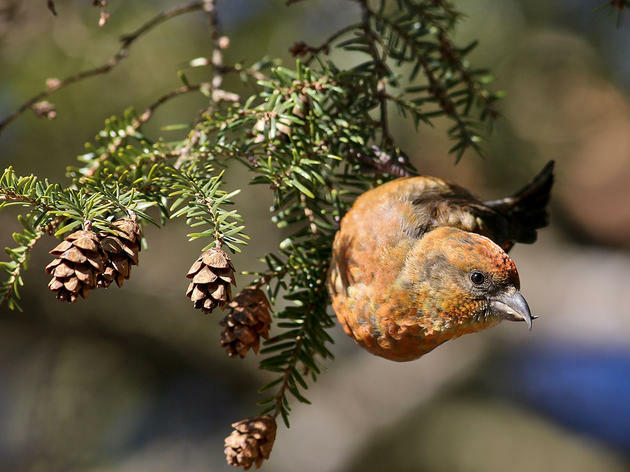 The Gwinnett Extension is offering varieties of blueberries, blackberries, raspberries, figs, apples, pomegranate, goji berry, native azaleas, and other landscape plants as part of its annual sale. Pecan trees and Titan blueberries, which produce blueberries the size of quarters, have also been added to the list of pre-order options. Orders will be tak­en through March 7. Visit www.ugaextension.org/gwinnett or call 678.377.4010 to request an order form. All orders must be prepaid by cash or check and prepaid orders must be picked up on March 16 from 9:00 am to 6:00 pm at the Gwinnett Coun­ty Fairgrounds, 2406 Sugarloaf Parkway in Lawrenceville. Additional plants will also be available for purchase on pickup day. The Environmental and Heritage Center will be open on Monday, Feb. 20 from 9:00 am until 4:00 pm. If your organization or business would like to submit, send us your item in a Word document by February 20 for publishing around March 3.